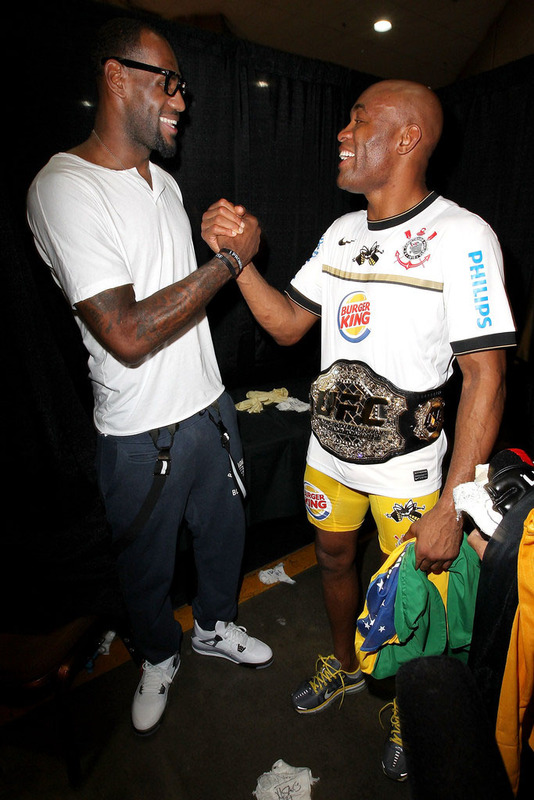 The stars come out anytime MMA pound-for-pound king Anderson Silva steps into the UFC octagon, and no name was bigger at this past Saturday's UFC 148 event than LeBron James. 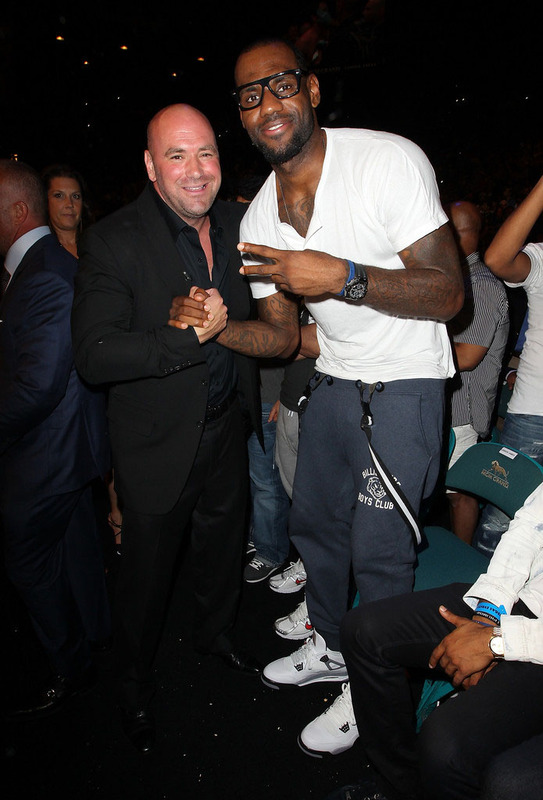 The stars come out anytime MMA pound-for-pound king Anderson Silva steps into the UFC octagon, and no name was bigger at this past Saturday's UFC 148 event than LeBron James. Still riding the high off his first NBA Championship, the Finals MVP was photographed with just about everybody in the building, including Hall of Famer "Iceman" Chuck Liddell, President Dana White and the Middleweight Champion himself. 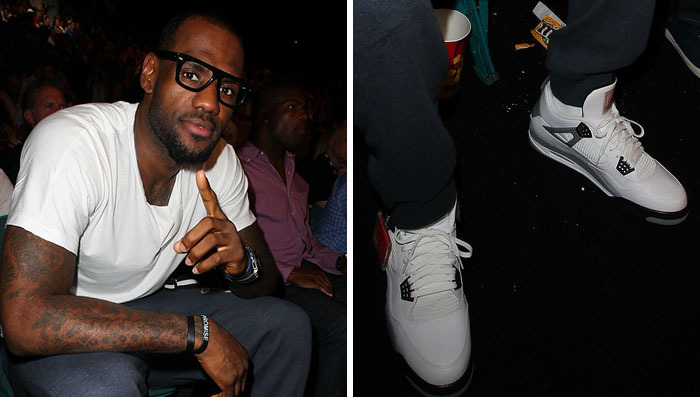 For the occasion, LeBron laced up the "Cement" Air Jordan Retro 4, hang tag attached, of course. 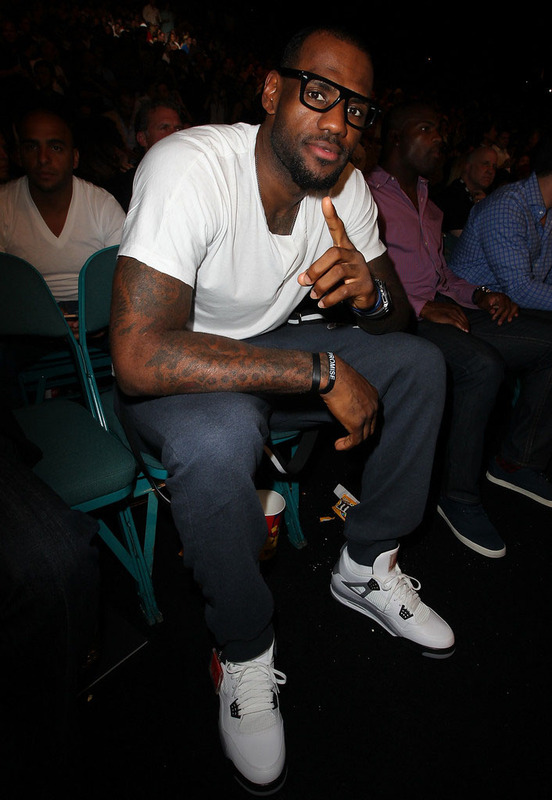 Check out several photos of LeBron at UFC 148 below.